What a lovely day it’s been for our own Royal Wedding! 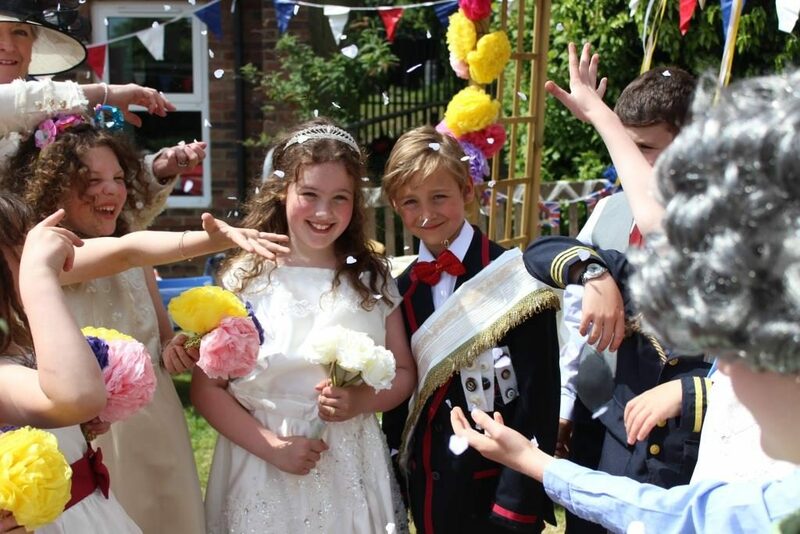 The children were suitably attired – thank you – and the wedding went off without a hitch; I do hope that’s a sign of things to come! You will have received a bag which you can fill with unwanted textiles. Please return these to school on Monday 4 June or the morning of Tuesday 5 June. Not only does this venture divert unwanted clothes from landfill, it also raises funds for the PTA at the same time. Spare bags are available from either reception should you intend to undertake a significant de-clutter. We continue to plan for Year 4 ‘moving’ next year and we fully intend to make it as special as it always is at Red House. Mr Maude, who has taught Year 4 for two years on the P&S side of the pond, will be transferring to the new Junior School to ensure the very best we offer this year will be replicated and built upon, next year. We hope to have further details available to Year 4 parents in the next couple of weeks but perhaps I can address a couple issues raised. Firstly, Year 4 will be taught as two classes as we maintain our commitment to small classes. Secondly, they will not be streamed by ability; we have never done this at Red House and see no reason to do so moving forward. Plans for the Fete are well under way but we’re still looking for more volunteers to help on the day. If you can help for an hour or two, please email Lesley: lwratten@no-sour-business.co.uk I’m sure this will not be the deciding factor for you, but all helpers receive free entry! As you’re aware, introducing a uniform of which we can all be proud has been a long process but we are nearing the end. As samples are released, we are putting them on display and there are currently a number of items hanging in the N&I entrance. A comprehensive document with pricing will be produced shortly (hopefully before half term) which will allow you to take advantage of any early high street offers.